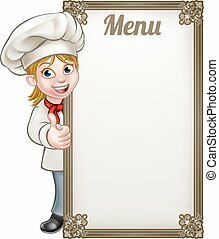 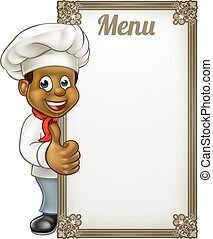 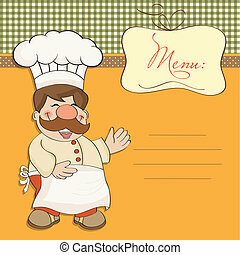 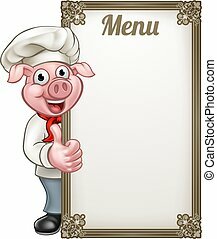 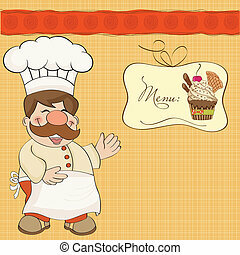 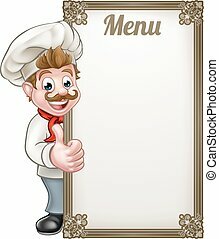 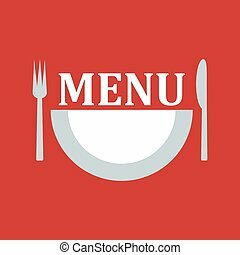 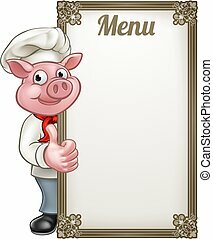 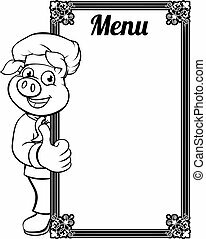 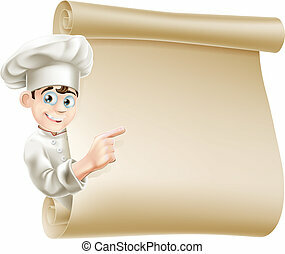 Chef menu banner. 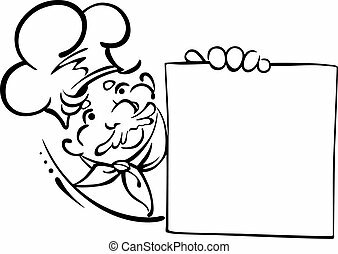 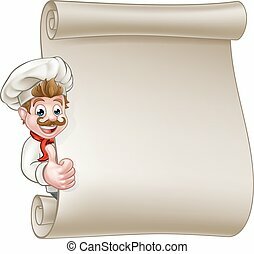 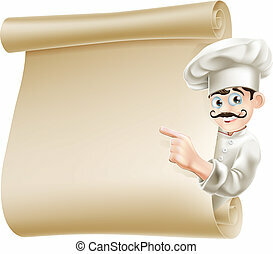 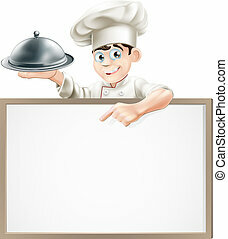 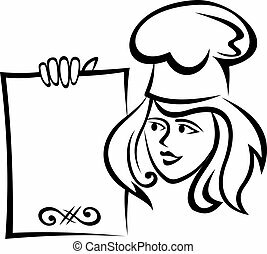 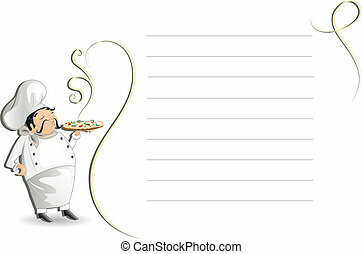 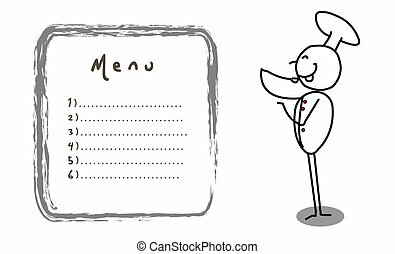 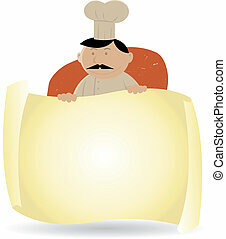 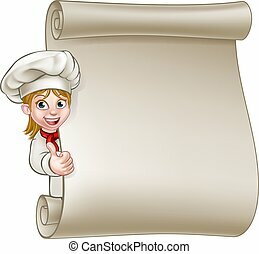 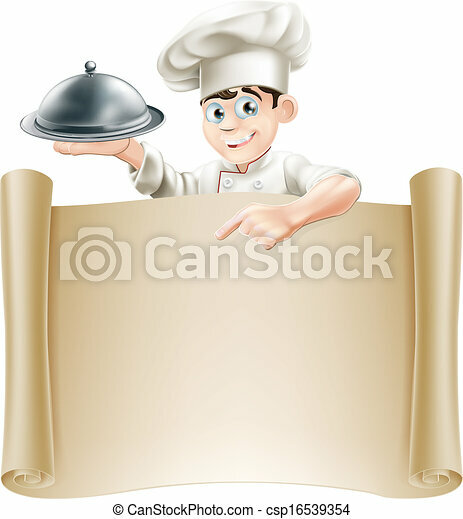 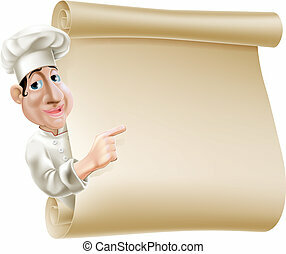 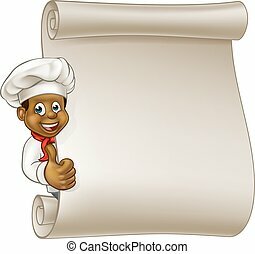 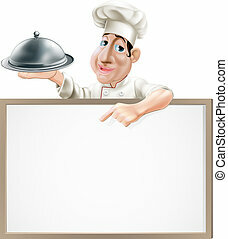 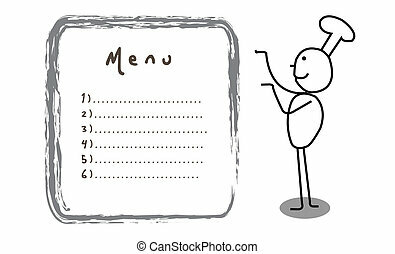 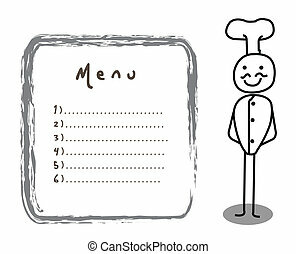 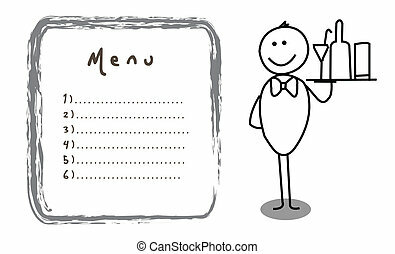 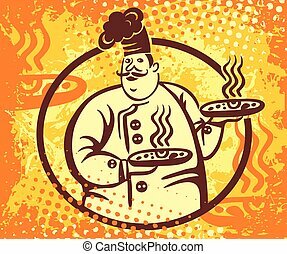 Drawing of a chef holding a silver platter or cloche pointing at a paper scroll or menu. 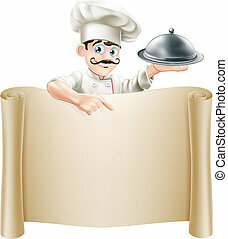 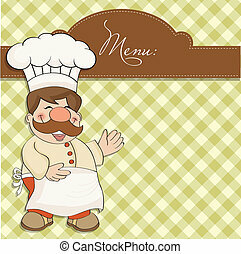 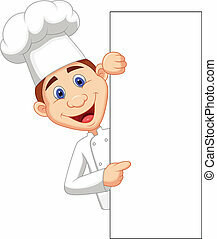 Chef with pizza mustaches and hat, banner.